Well, the New Year is upon us and thus all sorts of resolutions. I prefer not to make resolutions because I usually make them waaaay to lofty and break them within the first week. So, I find it much easier to just try and make a few minor changes and not force myself to commit to them every single day. 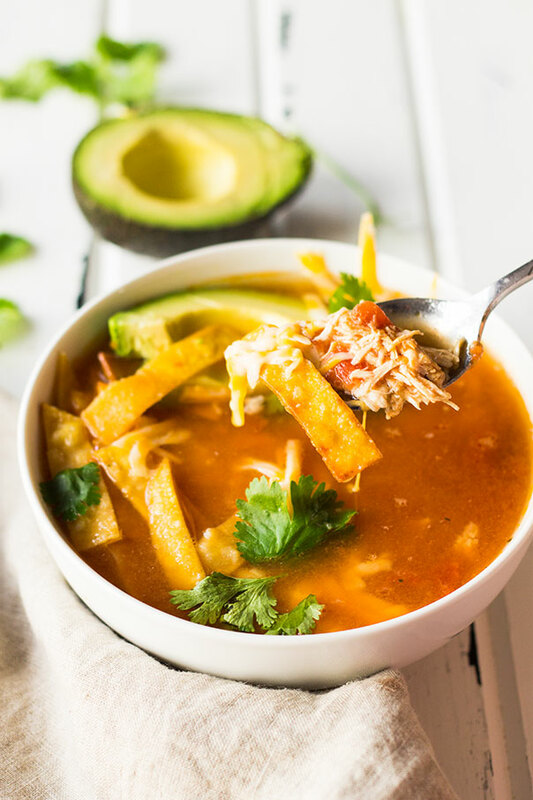 This Chicken Tortilla Soup is a great choice for those of your making resolutions to cut back on fats. It’s low in fat but big on flavor and it’s on your table in 30 minutes!!! What could be better than that?!?! Now, we usually dress this soup up with plenty of extras but that is optional. Crispy tortillas, sour cream, cheddar, avocado, cilantro….. You choose what to include or leave out. I also usually fry the tortilla strips in a little olive oil, but to save on some calories and fat they cold be lightly sprayed with cooking oil and baked until crispy. The choice is up to you. 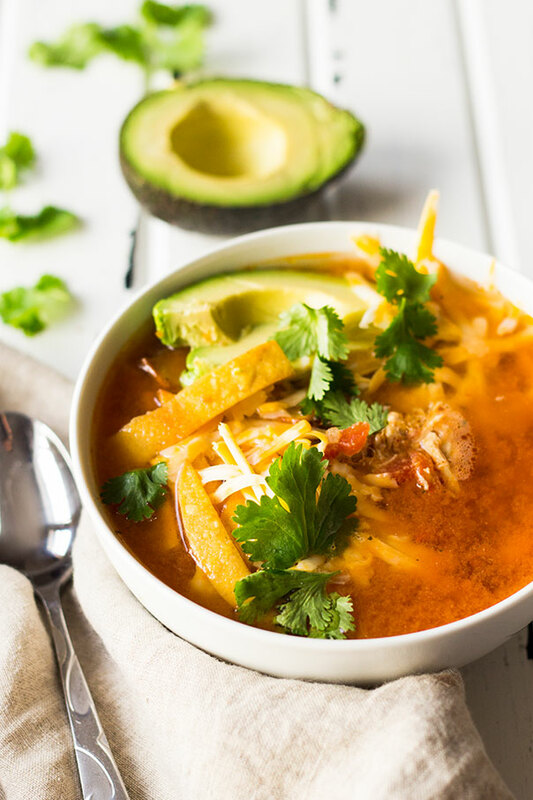 But no matter how you choose to dress up your chicken tortilla soup you can feel good about eating this healthy, hearty and satisfying bowl of deliciousness! Hope you have a wonderful 2017!! In a large pot combine the broth, chicken, tomatoes, onion, garlic, chili powder and cumin. Cover and simmer for 20 minutes. While the soup is simmering cut the corn tortillas into small strips. Fry in a small amount of oil until golden and drain on a paper towel. Set aside until ready to serve. The tortilla strips could also be lightly sprayed with cooking oil and baked until golden. 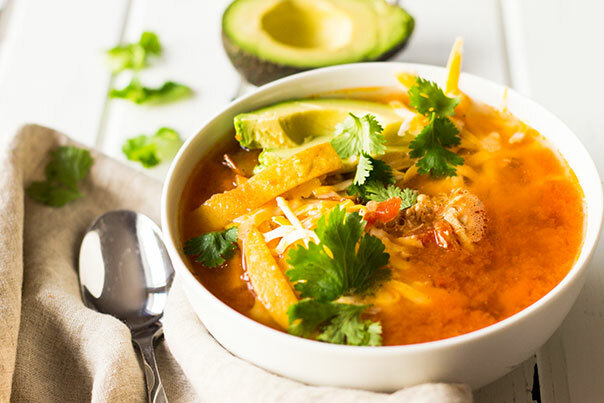 Serve soup with tortilla strips and toppings of choice.